A Really Nice Post on Lessons Learned from Recent British SF. Mine eyes have seen the glory of the coming of the Fan. He is trampling out the places with Amazing on the stand. His fantasy collection is the greatest in the land. Forrest J goes marching on. They have felt the mighty vengeance of the Weaver in his lair. Their Ackerman will reign until their hair is old and gray. Tho they think that they will conquer, he will chase them in their dreams. Not even for a mirror, just to watch his tendrils grow. In science fiction fandom he will still be Number One. 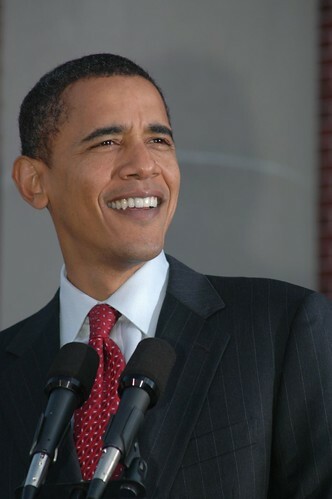 On January 20, 2009, Barack Hussein Obama II will take office as he 44th President of the United States. That day, the day after the Martin Luther King holiday, providence willing, Ron, my sister and I will be in the crowd for Inauguration Day. Hopefully we’ll be able to get close enough to see, through the tears. It’s hard to choke back the tears now, because my mom and dad did not survive to see this day. I’m emotionally drained. It still feels like a dream. Truth to tell, I’d long thought that the first African American, or American of African ancestry, to be elected president would be a Centrist Republican like Colin Powell or a woman like Condolezza Rice, had they not tied their fortunes to the Bush administration. I think I’m going to cry again. Cool. Not much else to say but… Cool. If consciousness somehow endures beyond the pale, he must be joyful today. I do wish my parents had lived long enough to see this day.